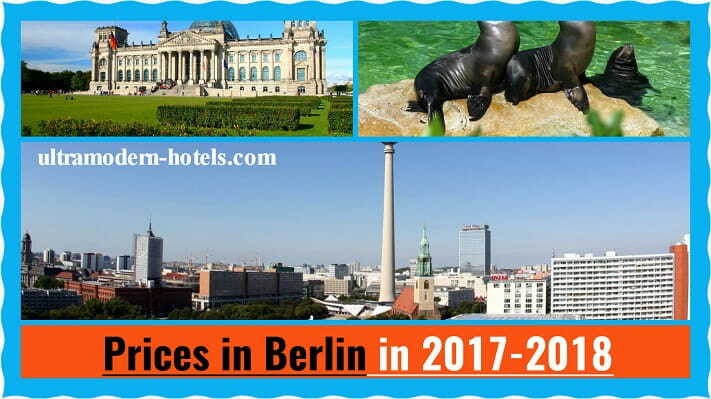 Berlin is the capital of Germany and one of the most popular cities in Europe for cultural recreation. 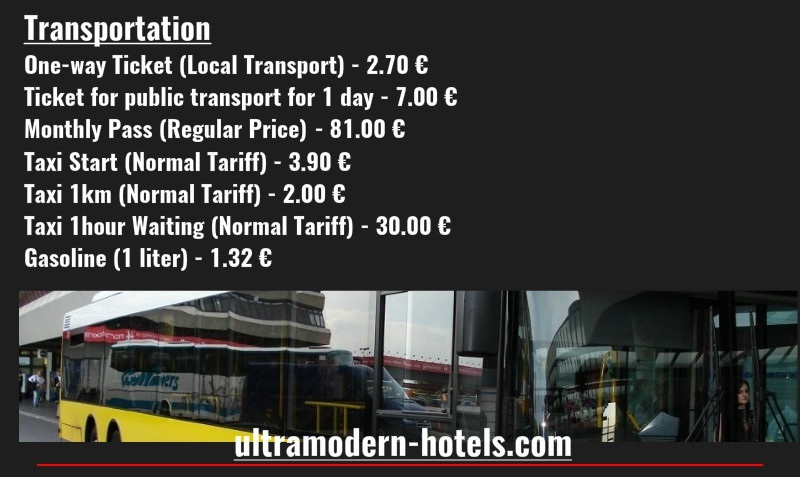 Every tourist will find what to do – dozens of museums, galleries, zoos, oceanariums, etc. 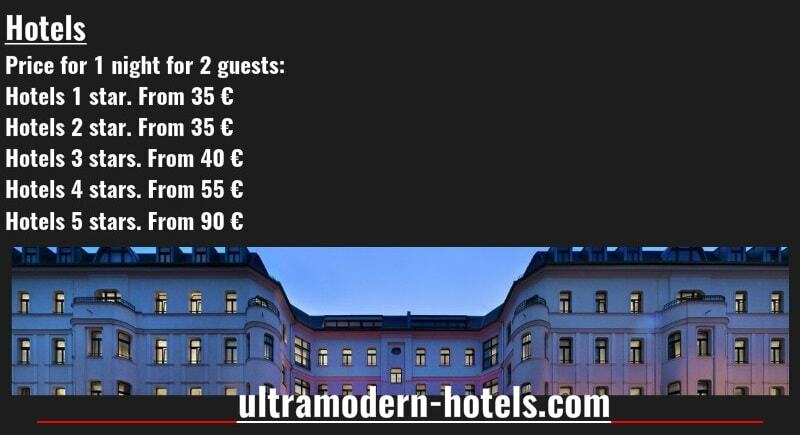 How much does a holiday in Berlin cost? 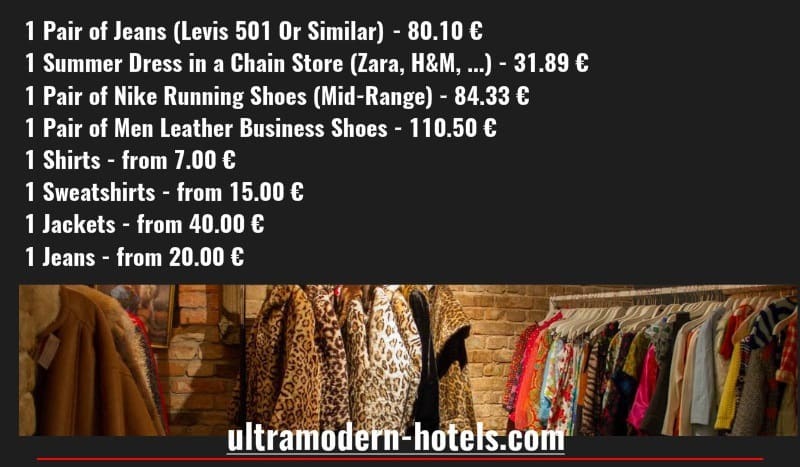 Our site ultramodern-hotels.com will analyze the prices in Berlin in 2017-2018 for food, hotels, hostels, transport, entrance tickets to museums, zoos and aquariums. 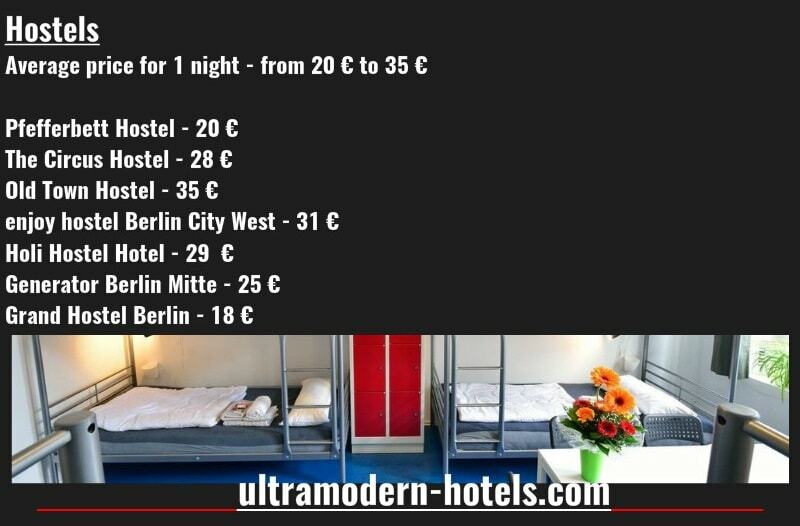 The cost of hostels and hotels in Berlin for 1 night. 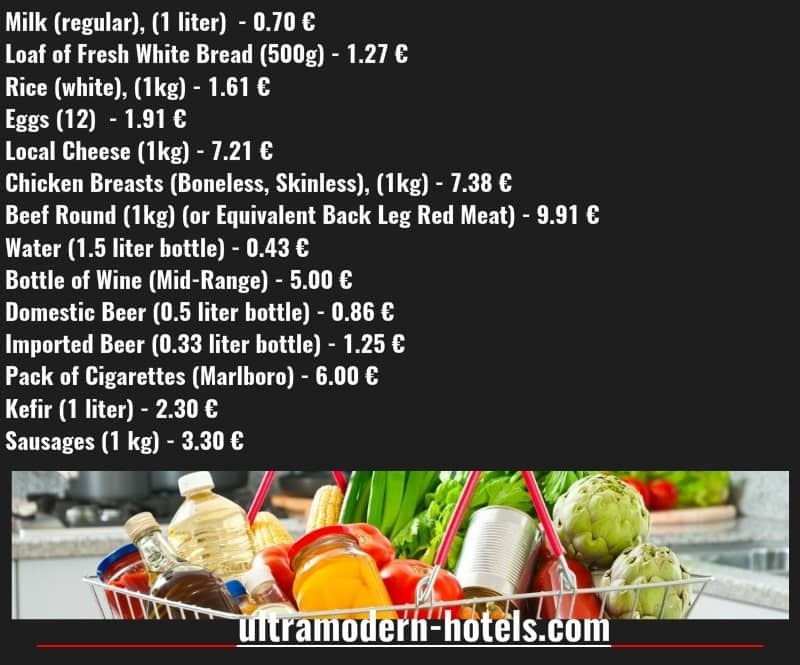 The average cost of food in supermarkets in Berlin. (Meat, milk, beer, fruits, vegetables, cigarettes, wine, sugar, rice). 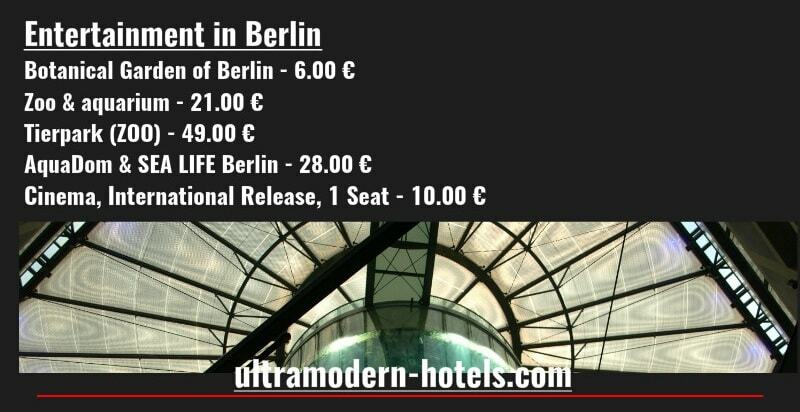 Meals in the restaurants and cafes of Berlin. 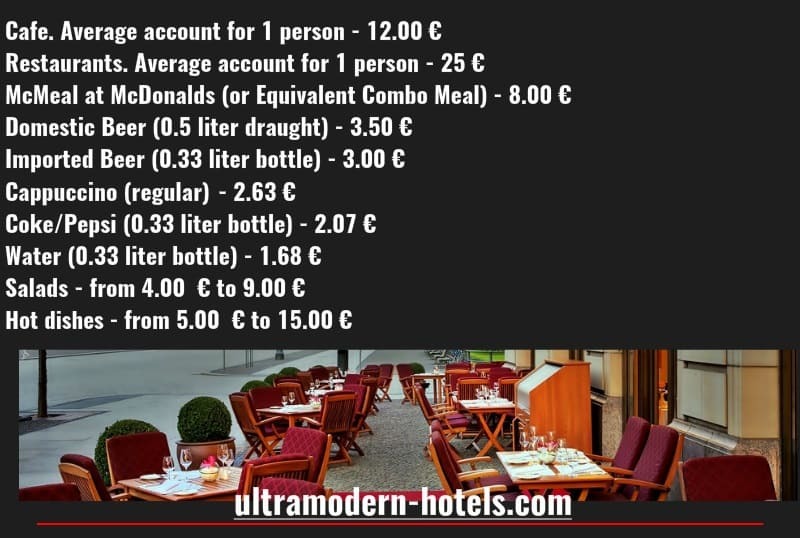 Average bill for 1 person and prices for drinks (coffee, soda, water, beer). 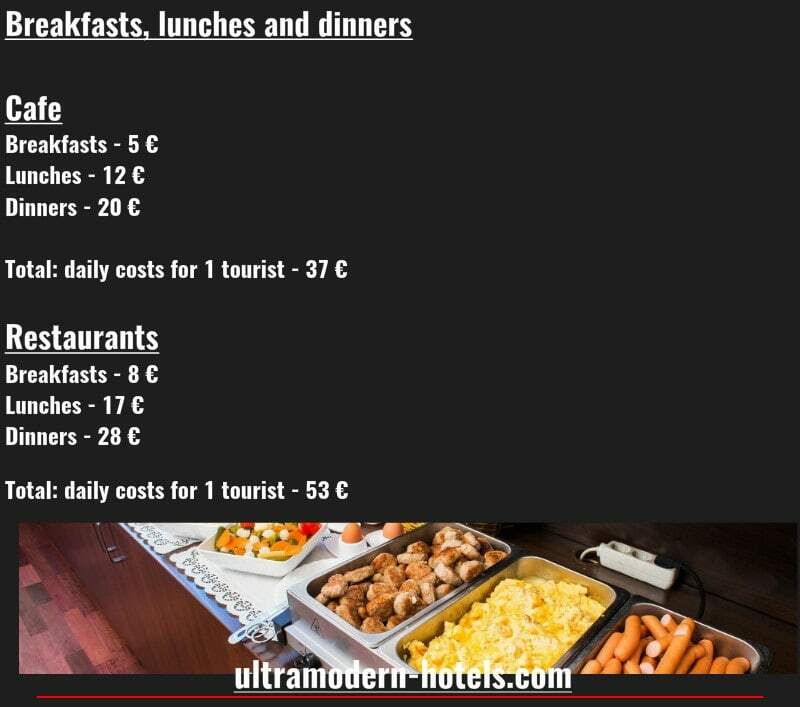 Daily food costs in Berlin (breakfasts, lunches and dinners in restaurants and cafes). 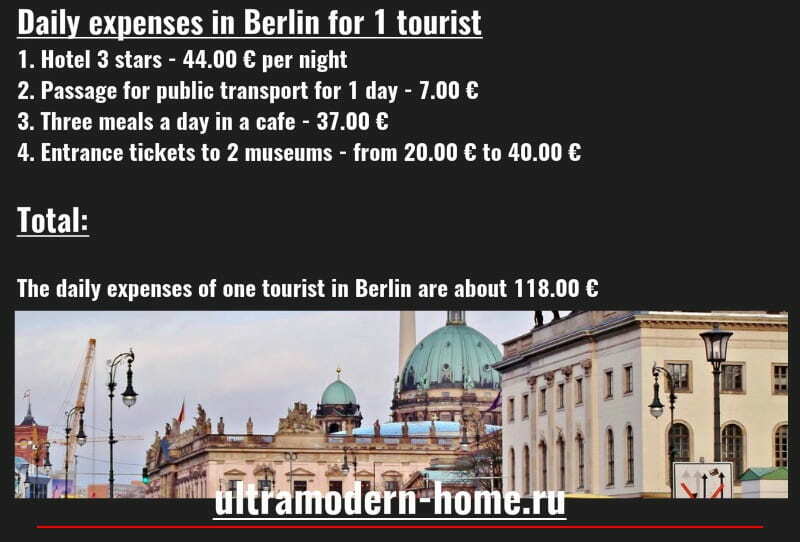 Daily expenses in Berlin for 1 tourist. 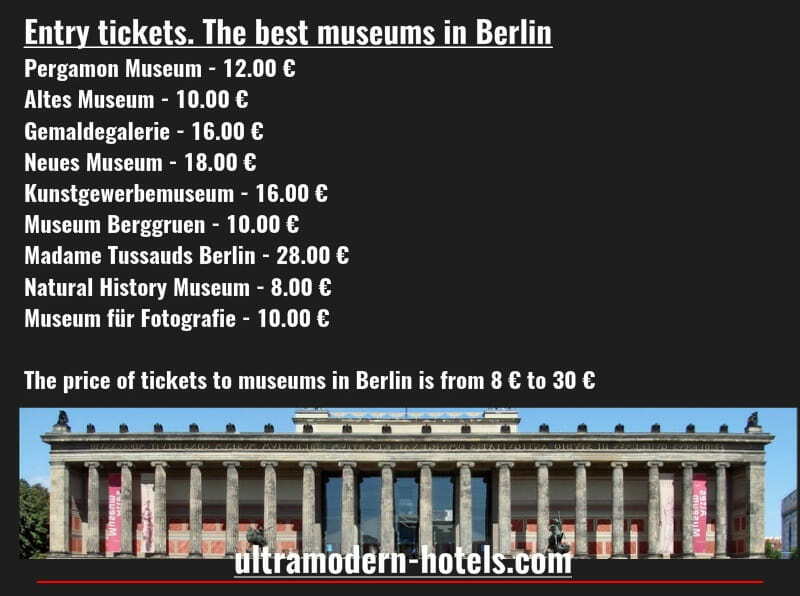 Entrance tickets to zoos, oceanariums and museums (Pergamon Museum, Neues Museum, Gemaldegalerie, Jewish Museum, Natural History Museum, Berlin Zoo, Botanischer Garten Berlin, Aquarium, AquaDom & SEA LIFE Berlin, Tierpark). Shopping (shorts, jackets, jackets, T-shirts, shoes). 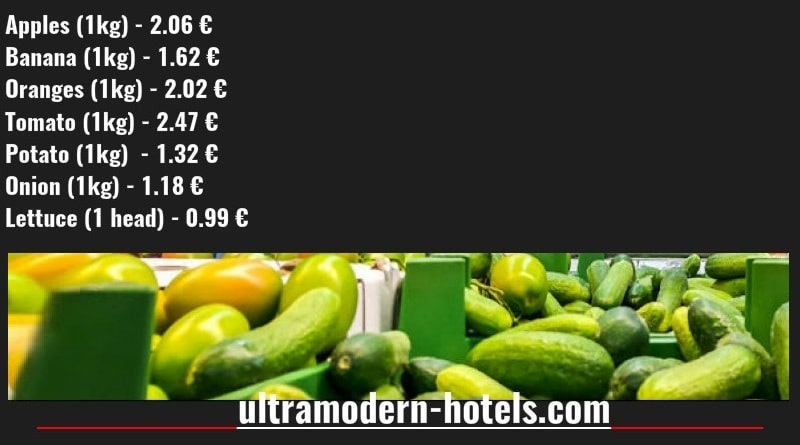 Prices in New York City in 2017-2018: food, entrance tickets, cafes, transportation Prices in Los Angeles in 2017-2018: products, real estate rental, entertainment Prices in Las Vegas in 2017-2018: Products, entertainment, transport, hotels Prices in Nice in 2017-2018: products, hotels, catering, entertainment, excursion What are the prices in Sweden on food, restaurants, cafes, hotels, and transport?